So, before you book us, we would like to discuss a few things that we believe you will find helpful! As you may by now, we shoot journalistically… We do work on all our images individually, but we believe in what is real and true. While we will guide you during the couples session, we genuinely want you to walk away with an honest reflection of your day and who you are. We may play with colour, tone, perhaps remove the odd out-of-place water bottle and use interesting and creative angles to document real events, but we do believe in the true you. Your memories, including the memory of who you are, are important to us. Our perfect client is not only someone who will trust us to document their day in a truthful and creative way, but someone who sees the value of creativity and the value of something that will act as a trigger to the bigger picture, i.e. someone who is concerned with the emotional and future value of the images and not someone who feels the need to present something that does not make them feel something. We are all beautiful and interesting creatures, we are loved for who we are. We want to shoot people who understand the value of being in the moment and being their own true selves. No, we make the final selection, but rest assured that no moment will be left out as far as we can help it! The reason why we can provide you with a great set of images is because we shoot in a way to maximise the chances to get images that will have most meaning to you! 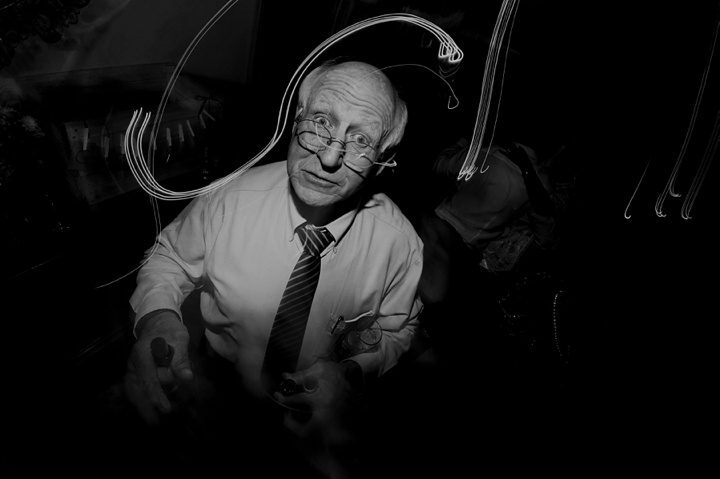 All our images are personally selected and edited with care – no shortcuts! We absolutely do! 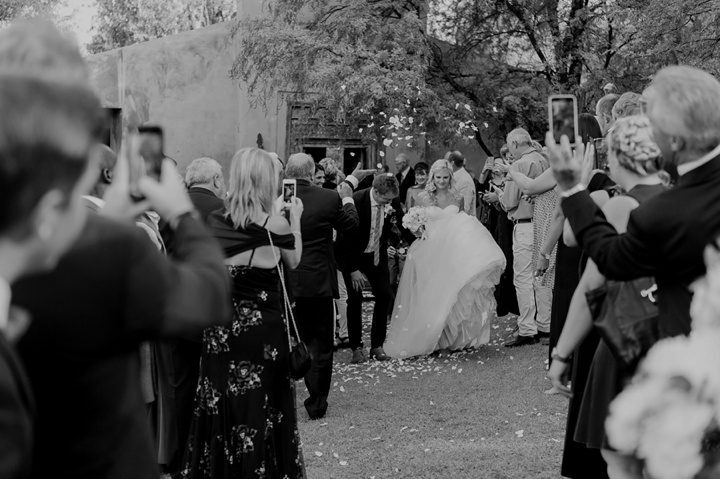 In fact, almost half of our weddings are out-of-the ordinary and on-the-road weddings where we travel to interesting places around South Africa and occasionally in other countries. Our approach is very journalistic and natural, so having shot at the venue before rarely influences our style. We love the thrill of shooting at a new venue, but also appreciate the value of a place where we have worked before. Sean and I shoot all our weddings together! Sean will spend more time with the groom and I will be with the bride and from the ceremony onwards we work together. This is what gives us our unique style! We shoot without any interference, unless a particular moment or creative image could be enhanced with a little bit of subtle influence – whether it be lighting, positioning or moving an object. 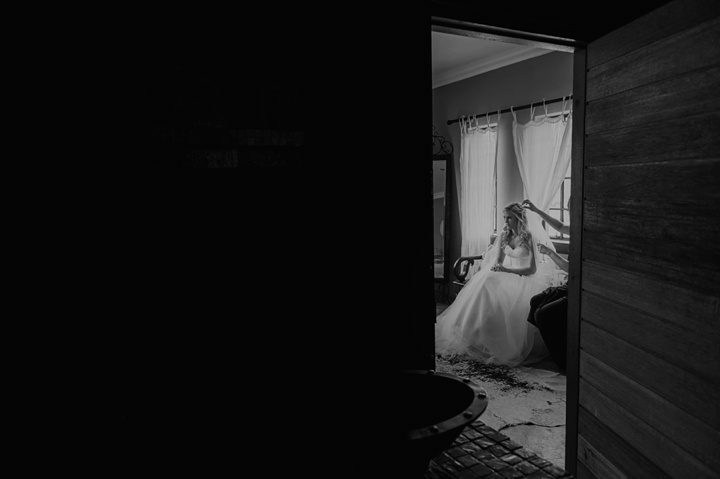 We believe that the memory of a day such as your wedding should be authentic, real and genuine – not “created” for the benefit of the photographer. Can GingerAle handle low light situations and unusual getting-ready rooms or event locations? We love moody and darker lit rooms! We also carry gear that will allow low-light shooting and try to capture the mood of your venue, whilst still being prepared for creative lighting. Feel free to choose any room you will be comfortable getting ready in! Where colouring and “cleaning” is concerned, yes, we do edit each image individually and make the creative decision to provide the image in either colour or B+W, sometimes both. The end goal is to tell your story to the best of our ability and for this reason we do not provide all images in colour and B+W, and also do not make use of batch editing. As far as beauty retouching goes, we do not promote corrective and sliming editing as we believe in the beauty and raw authenticity of each individual. If however, you have a breakout or something that does not reflect your own true self, we will help you with that where we can! How many hours do you suggest we set aside for our couple photos? The receiving line and family images could take a little bit of time, so keep this in mind when planning your day! Having said that, we only need 40 – 60min with you. The time spent on couple images will greatly depend on you and the amount of time you will want to spend with your guests during cocktail hour. And how long do you think we need to book you for in total? The Little Guy package offers all the basics, from about about an hour before walking down the aisle to the first dance. The Slow + Sweet option gives you a comprehensive coverage where cake cutting, garter tossing, crazy moves on the dance floor etc as well as more time with you in the morning, will be included or as far as time allows. Do you suggest an engagement session? Every couple is different, but from our experience, every engagement session has helped create comfort and friendships between us and the couples before the wedding day, so YES! We encourage such sessions to take place on weekdays or Sunday afternoons as most of our Saturdays are spent at weddings. We also urge each couple to choose an activity, venue or something that will hold future meaning for them, not to simply settle for the typical Pinterest “engagement” photos. How many images do you typically deliver from an engagement session and from a wedding? You can typically expect ±50 images per hour of shooting, but the images may be limited based on your collection. Naturally this is also based on the amount of guests, the specific activities and the overall mood of the day, but rest assured that we will leave nothing out as far as we can help it! Do you provide full resolution images? No, we do not provide the raw files from your wedding, but will make every effort to give you the most comprehensive coverage of your day. If you feel something is missing after receiving your images, please let us know. Copyright remains with GingerAle Photography, but you are still welcome to share and print images. The copyright remains intact to protect both parties from 3rd party reselling of your images without permission. 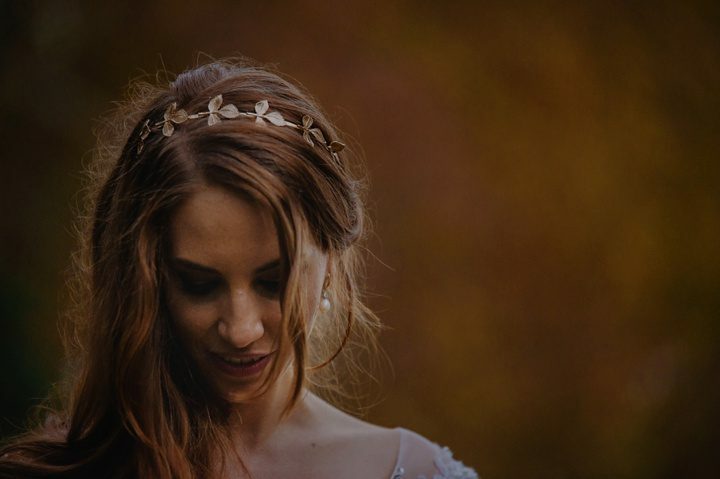 We take a lot of care during all the stages of providing a couple’s wedding images, so the final product will take anything from 8 to 12 weeks for completion, depending on the season. The initial image selection and album design is done by us in order to create a beautiful story. Then, after approving your album design and making the necessary changes, it will take approx two to three weeks for your album to be delivered! You will receive the album proofs for approval at the same time as your wedding images, but keep in mind that albums will only be sent in for printing once you have given written approval. Yes, we are happy to make a few changes to your album including swopping images around or adding pages. Our Signature album has a wheat linen cover, but you are also welcome to change the cover to a unique veg tan leather cover or upgrade the size of the album. Please let us know before-hand if you would prefer a differently shaped album as this will require a re-design of the layout and will influence the cost of the album and design. We shoot with a lovely low-light Nikon D4, Nikon D700 as well as the nifty Sony A7s. Our lens bag includes everything from wide to long lenses as well as a few beautiful prime lenses and lighting equipment. As you may know, we prefer to keep the mood and atmosphere of your day intact by using additional lighting only when needed, but will be ready to light up your venue in any event! Absolutely! All images are backed up on the day and then also transferred to several hard-drives, on and off-site, after your wedding to ensure safety. We blog all our weddings and urge our clients to get a good idea of our style by going through these weddings. After that, we will love to meet with you! We live in Sasolburg, but are happy to meet you in a mutual spot if we can, at no additional cost. Please give us an email to set up a date! Your booking will be confirmed upon payment of a reservation/retainer fee of R8500 and the return of the signed wedding agreement. Before that, bookings are taken at a first come- first serve basis. If another booking is taken for the same date, then yes, we are happy to return the reservation fee (minus any incurred costs, incl fuel towards meetings etc). If no wedding is booked in place of yours, the reservation fee will be forfeited if other clients have been turned away during this time. Are there travel fees associated with the Engagement Session and/or Wedding Day shoot? With engagement shoots, we include travel up to a 70km radius of Sasolburg, thereafter fuel and venue fees will be for the account of the client. For weddings we include a larger radius of 120km, complimentary. For weddings with travel of longer than 2hours, we will require accommodation of one night on the night of the wedding and for travel further than 3hrs, two nights’ accommodation may be required.